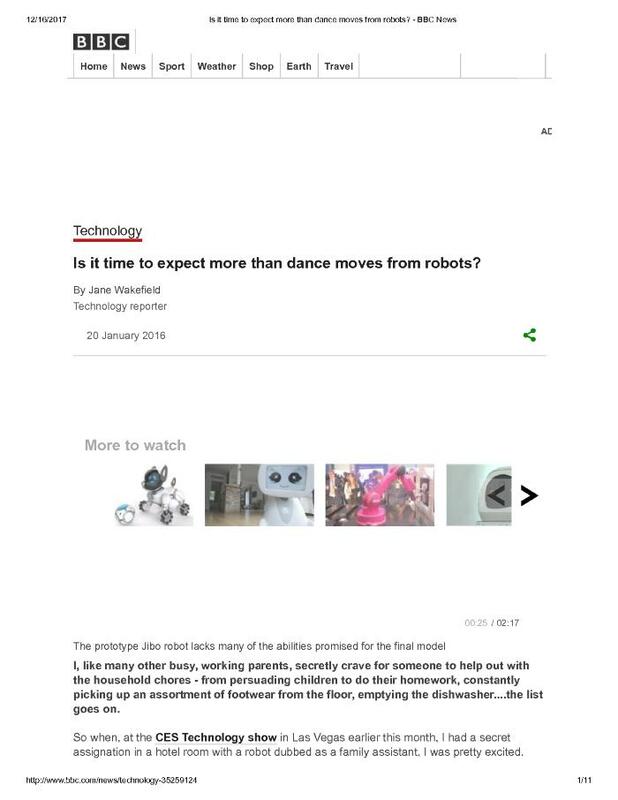 Decimal Lab : Text : Is it time to expect more than dance moves from robots? Is it time to expect more than dance moves from robots? I, like many other busy, working parents, secretly crave for someone to help out with the household chores - from persuading children to do their homework, constantly picking up an assortment of footwear from the floor, emptying the dishwasher....the list goes on. So when, at the CES Technology show in Las Vegas earlier this month, I had a secret assignation in a hotel room with a robot dubbed as a family assistant, I was pretty excited.